For the control of ROUNDWORMS (Toxocara canis and Toxascaris leonina), WHIPWORMS (Trichuris vulpis), HOOKWORMS (Ancylostoma caninum, A. braziliense, Uncinaria stenocephala), TAPEWORMS (Dipylidium caninum, Taenia ovis,T. hydatigena and T. pisiformis) and hydatid tapeworm (Echinococcus granulosus) in dogs. 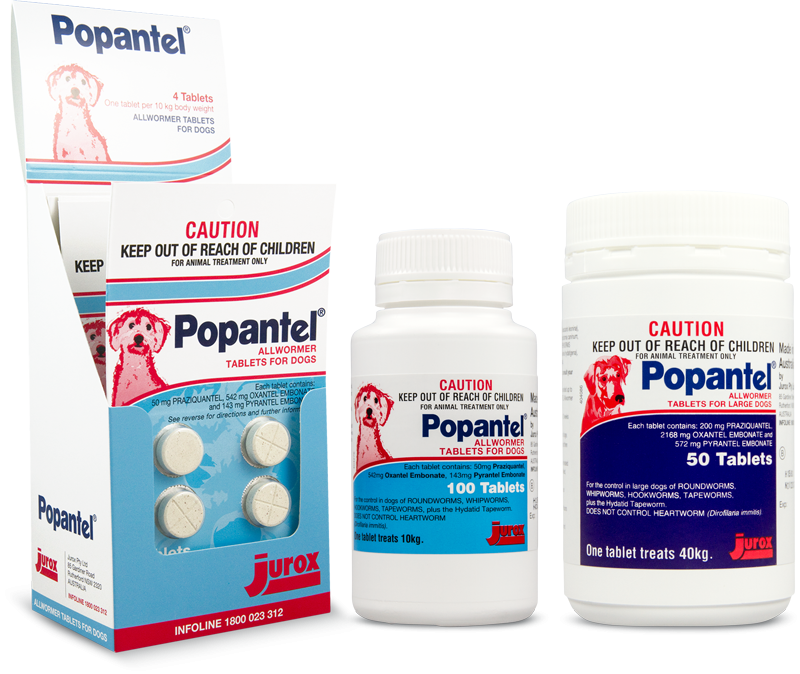 DOES NOT CONTROL HEARTWORM (Dirofilaria immitis).